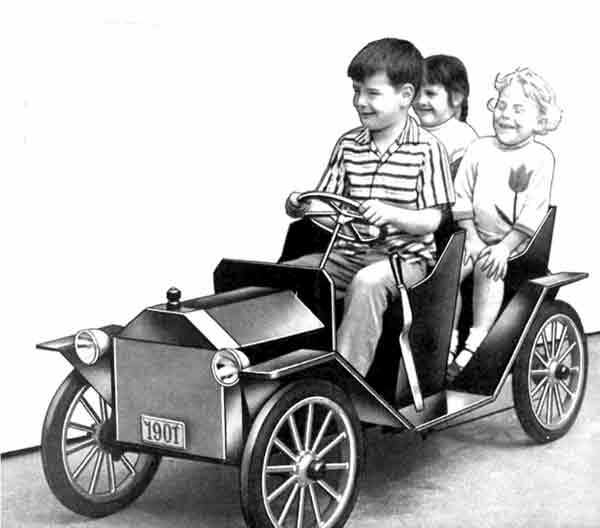 Vintage play car project plans of a half scale replica of a 1901 touring car by George E. Jones. Powered by an electric motor, this project would suit someone with metalworking skills. However, plywood could replace some of the sheet metal construction. This sidewalk play car has electric motor drive. 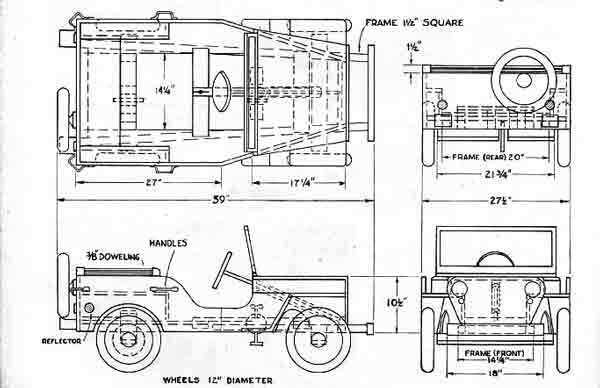 The plans are quite rudimentary, anyone with skills in sheet metalwork and woodwork should be able to build one. Designed by Elmer V. Clark, and published in Popular Mechanics. Battery powered replica of the prototype roadster. Paint it bright red and its sure to delight. 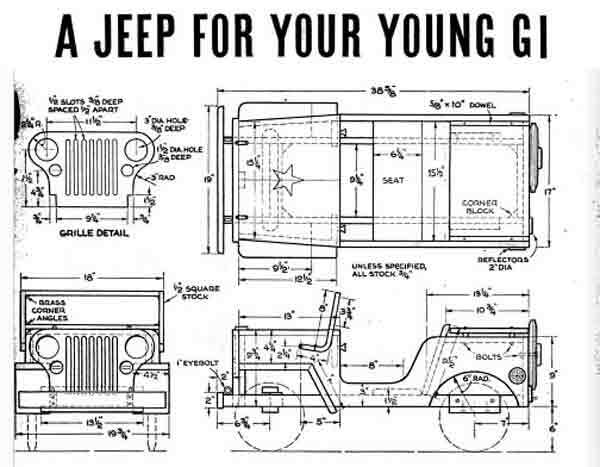 There are two pedal powered jeeps to build from these downloadable PDF plans. The first designed and built by Herbert R. Pfister, of New York City, and H. A. Machlan, of El Campo the second. 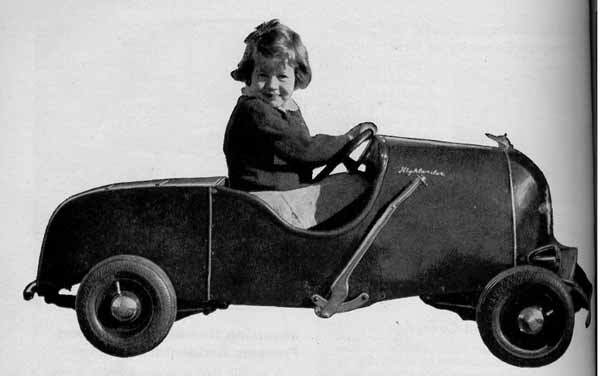 Another set of vintage pedal car plans, this one designed by Paul Thompson Sr. appears in an article in Popular Homecraft magazine February 1945. Once built, it measures about 59 inches long. 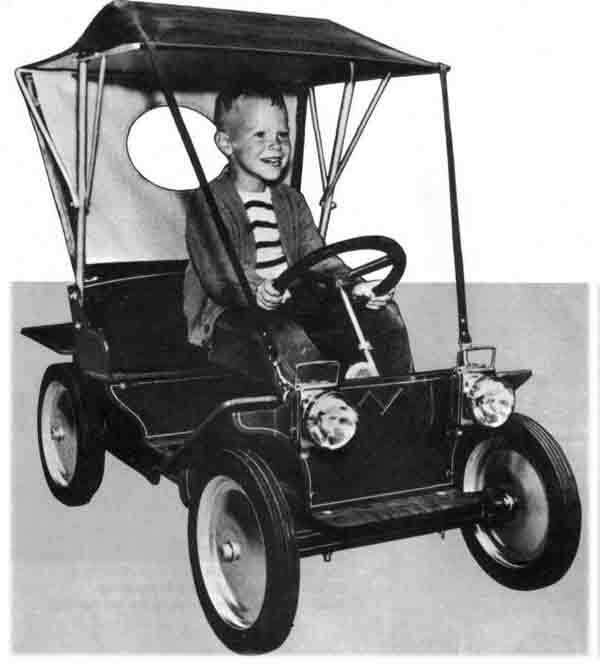 Jeep pedal car plans from 1948 edition of Popular Mechanics.